My Grace Is Sufficient for you…. Numbers hold a special significance in the Holy Bible, especially in terms of the original language being Hebrew. In Hebrew, each letter possesses a numerical value. Gematria is the calculation of the numerical equivalence of letters or words based on the Hebrew alphabet to gain insight and explore ideas in scripture. In Hebrew, the letter HEY is equivalent to the number 5. It is comprised of the letters dalet (4) and yud (10). 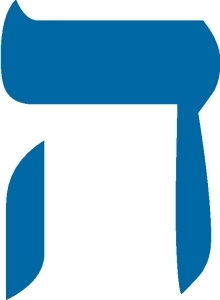 The vertical and horizontal lines of the dalet represent the physical world, while the yud signifies the world to come. Therefore the HEY is symbolic of the combination of the physical and spiritual realms. In Christian theology, the number 5 is significant because it represents grace and protection. So on this 5 day, I encourage you to receive God’s grace; spirit, soul and body! The wars and rumors of wars, the economic struggles, the Ebola threat, threats of the corporate downsize, etc., on and on…. but it will not come near you. You will only observe with your eyes and see the punishment of the wicked. If you say, “The LORD is my refuge,” and you make the Most High your dwelling, no harm will overtake you, no disaster will come near your tent. Hi there, after reading this amazing article i aam too happy to share my experience here with colleagues.